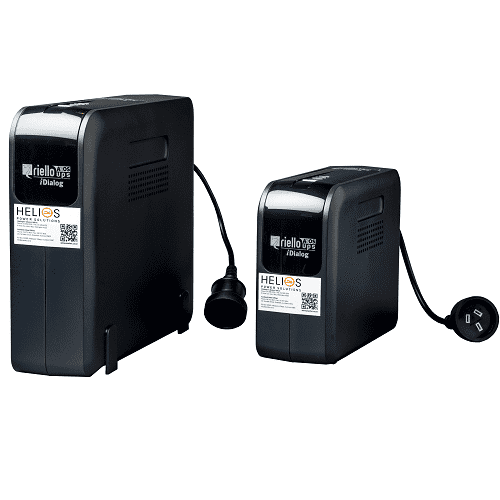 The MultiCOM 382 provides a set of relay contacts for managing UPS alarm notifications and operating states. The board has two removable terminal boards. One of these terminal boards includes the ESD (UPS emergency Shut Down) and RSD (Remote Shut Down) signals.The board also provides the possibility of associating Battery Working, Bypass, Alarm and Battery Low warnings with potential free changeover or normally open contacts. Graphic monitoring of ups and environmental sensor status. Detailed display of all ups and environmental sensor parameters. Events log and graphic display of main parameters.